In what many saw coming a mile away in the aftermath of both the Las Vegas Massacre and the Texas Church mass shooting, liberals in the government, with the help of their mainstream media allies, are now pushing what amounts to plans for gun confiscation, outside of normal law, for Americans across the country. The new push for gun control from the left comes courtesy of ABC News which recently published a piece promoting the use of an Extreme Risk Protection Order (ERPO) that many believe is nothing more than a thinly veiled confiscation plan that would allow a judge to â€œissue an ex parte orderâ€� for the direct confiscation of an American citizens firearms. Unbelievably, the order can actually be issued without the firearm owner even being present, which would in turn end with police at the citizens door demanding he hand over his weapons or face violence from the state. ABCâ€™s Andy Fies, on the other hand, apparently wants Americans to see the orders differently, painting a more friendly picture of the ERPOâ€™s while quoting two different left-wing gun control groups as seemingly unbiased experts on gun violence. As of now, only Washington, California, Connecticut and most recently Oregon have ERPO laws (while Indiana and Texas have modified risk warrant statutes). Over the past year, however, spurred by a string of mass shootings beginning with the Pulse Nightclub attack that killed 49 in June 2016, legislatures in 19 states and Washington, D.C., have taken up 32 separate ERPO bills for consideration, according to Everytown for Gun Safety, a nonprofit organization that advocates for gun control. Everytownâ€™s deputy legal director, William Rosen, told ABC News that list will grow. â€œWe expect to see at least as much interest in 2018,â€� he said. Current laws barring gun ownership are limited. Generally, a person with a long history of mental health issues can still legally buy or possess firearms if they donâ€™t fall into specific statutory categories such as having been adjudicated mentally ill or under a domestic violence restraining order. But, as was the case with Texas church gunman Devin Kelley, even these restrictions may not work if the personâ€™s troubled past is not recorded on a background registry. With an ERPO, however, if family members or police can show a gun owner to be an imminent danger to themselves or others, they can force the person to surrender their weapon(s). 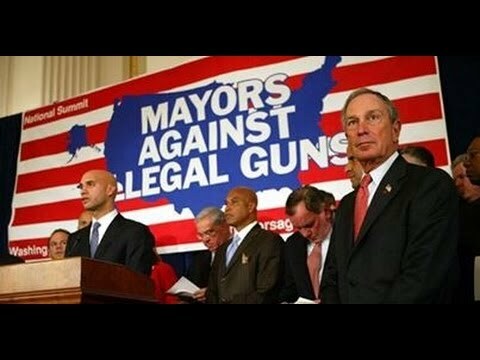 Keep in mind that Everytown for Gun Safety is a Michael Bloomberg funded, left-wing gun control group that was created as part of a rebranding effort by the billionaire gun grabber after his previous group, Mayors Against Illegal Guns, was outed by multiple former members as actually pushing an agenda of full-scale gun confiscation. The Extreme Risk Protection Orders scheme seems to be nothing more than another attempt at slowly eroding the right of lawful Americans to own firearms. It is also important to note that gun control advocates and the mainstream media are using The Las Vegas Massacre, which the authorities are openly lying about (there were at least 7 different shooters) as a pretext to further take away Americans right to bear arms. This is, and has always been, the modus operandi of the power elite. America should be kicking these hypocrites out of government. They are not leaders, but little boy followers of people like Bloomberg, who cant even keep their own nose clean.